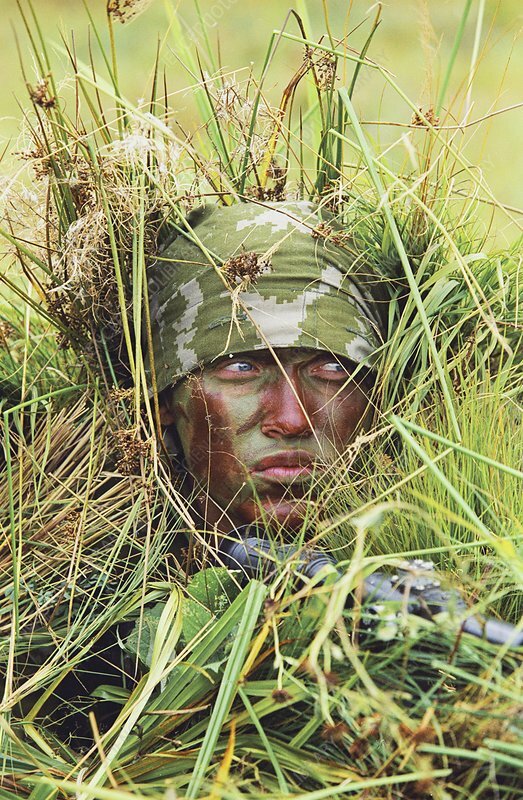 Camouflaged soldier hiding in grass. He is taking part in an international competition for special forces and intelligence units. Photographed at the Mercury Special Forces training centre, in Zhornovka, Smolensk, Russia.